Cloud computing is a hot topic and offers obvious benefits. 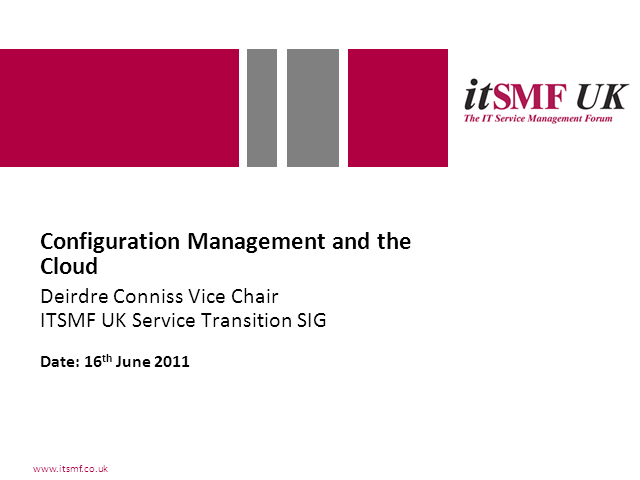 Configuration management and SACM are ongoing challenges. What impact would adopting a cloud computing approach have on these disciplines? This presentation takes a high level view of some potential issues and suggests what is needed to resolve them.